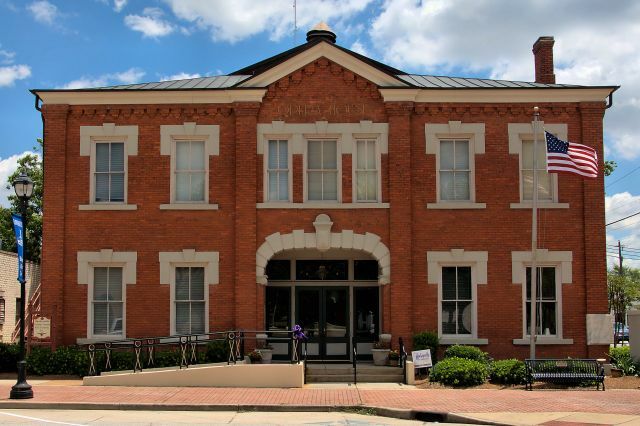 Noted Macon architect W. R. Gunn guaranteed and delivered the best acoustics available in his 1907 design for Hawkinsville’s opera house. Hosting many traveling productions and even celebrities like Oliver Hardy in its heyday, the facility’s uses changed over time. It fell into decline by the 1970s, but thanks to a group of citizens who understood its value to the city, it was saved from demolition in 1977. Today, it again serves as a theatre and auditorium and hosts first run movies, musicians and a variety cultural events.